NS5 is end of life (EOL). 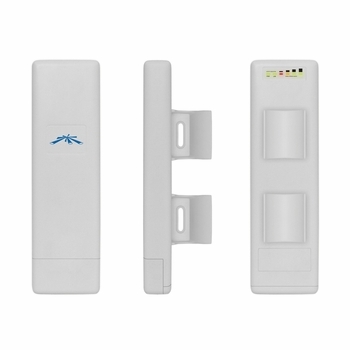 Ubiquiti recommends NSM5 for functional replacement. NanoStation is the device designed to advance the Global Wireless ISP industry to the next level. Featuring a compact indoor/outdoor design and an interface, it is so intuitive even the most technically challenged can instantly become experts. But don't be fooled--it is as powerful as it is simple. NanoStation packs some phenomenal performance with a revolutionary design combining a high gain 4 antenna system, advanced radio architecture and highly researched and developed firmware technology allowing throughput, stability and capacity performance rivaling even the highest-end WiMax networks.